The Farm Bill – Where do we go from here? At a Capitol Hill Briefing on July 18, 2012, the Center for the Study of the Presidency and Congress released a Policy Report summarizing the project team's recommendations. Download a PDF version of the Report by clicking the icon below. Find out more by clicking the Policy Recommendations tab. 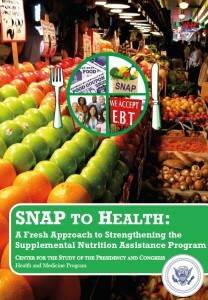 This website is a project of New America supported by a grant from the Aetna Foundation. It was originally developed at the Center for the Study of the Presidency and Congress (CSPC). The views presented here are not necessarily those of New America, the Aetna Foundation, CSPC, or their trustees, officers, or staff.